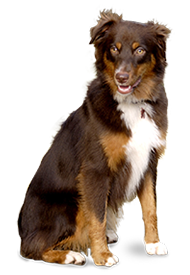 You need to find out about the constituents of a healthy diet for your dog if you intend to manage its feeding habits. It is also necessary to be observant and to notice changes in the quantities of meals consumed by your dog. Changes in feeding diets should be noted since they are usually indicative of underlying problems, especially if there is a considerable reduction of food consumed. The most appropriate feeding method is one that you come up with that is based on the age, personality, and size of your pet. Establish a routine also since this is effective in limiting the calorie intake in obese dogs or those that tend to overeat. The maintenance of optimal mental and physical well-being is dependent on how your dog exercises. Obesity is now a major issue with dogs with close to 30 percent of the pets being considered overweight. Exercise reduces the risk of arthritis and heart ailments. It also reduces depression and frustrations, which may lead to behavioural problems like barking excessively, digging, and over aggressiveness. Adding vitamins to your dog’s food in the right proportions is essential if the pet is not getting enough of them from its meals. 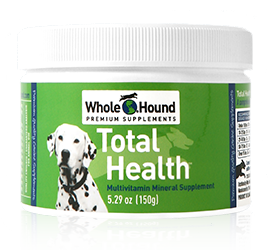 Dog vitamins include A, B complex, C, D, E, and K. A deficiency in one of the vitamins can result in illnesses and other issues. Make sure that a vet examines your pet regularly to determine if your dog requires one or more of the vital elements. Some of the warning signs that supplementation with vitamins is needed include low levels of energy, significant weight gain or loss, a brittle and dry coat, and flaky, dry skin. It’s always wise to consult a vet if you notice something is not quite right with your pet and before trying supplementation as a solution. A pet dog in its growth and development phase requires a proper diet and exercise to shape its bones, tissue, ligaments, muscles, and teeth appropriately. It is also at this stage that you can best teach it how to behave towards other dogs and people. 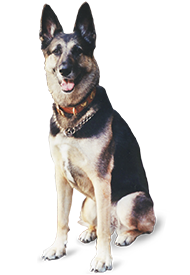 A vet with sound knowledge in the natural treatment of dogs will guide you on the most appropriate diet plan and exercise regimen, which will be based on age, breed, size, and other factors.